This diminutive container is an exercise in restraint and balance. 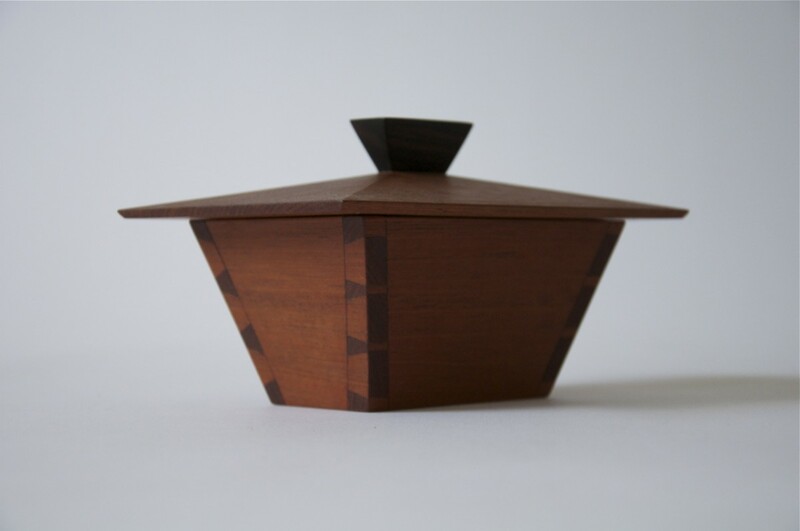 The perfect place to store treats or treasures, its details make it something special. 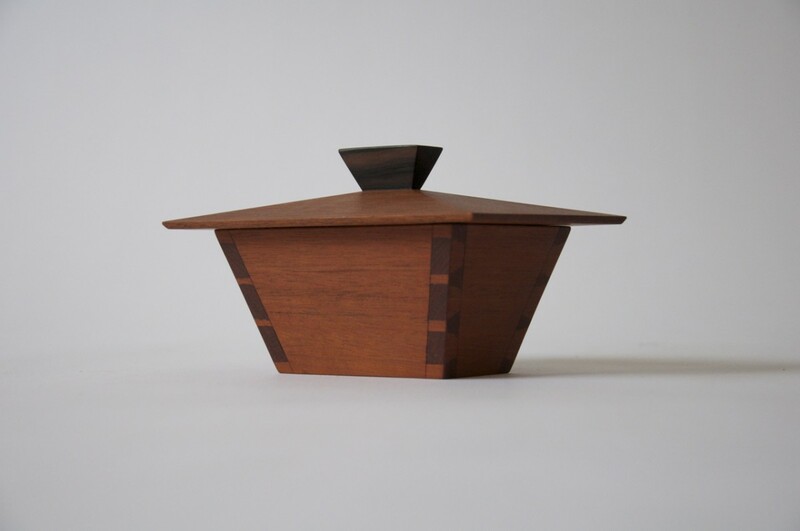 From the well–fitted, subtly–bevelled lid, to the hand-cut dovetails that mirror the splayed sides, each aspect of the design emphasizes the form of the whole. 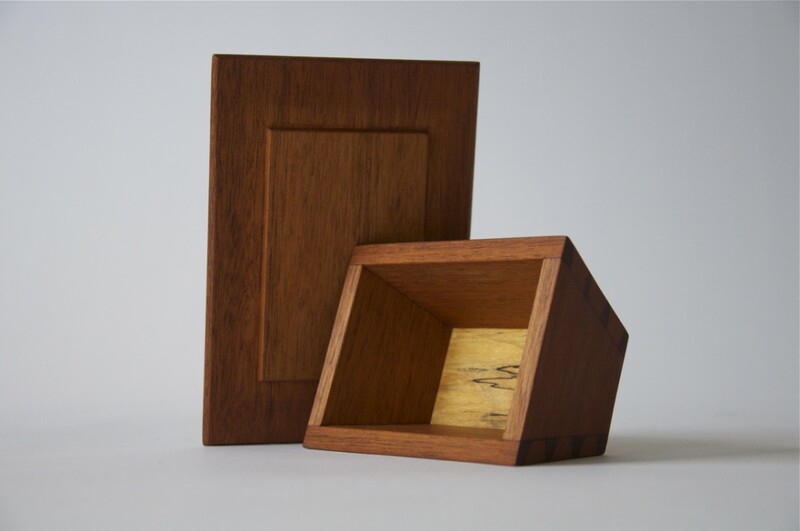 A hand–carved ebony pull invites touch, while the spalted maple bottom adds a bit of flair for those who peer inside.